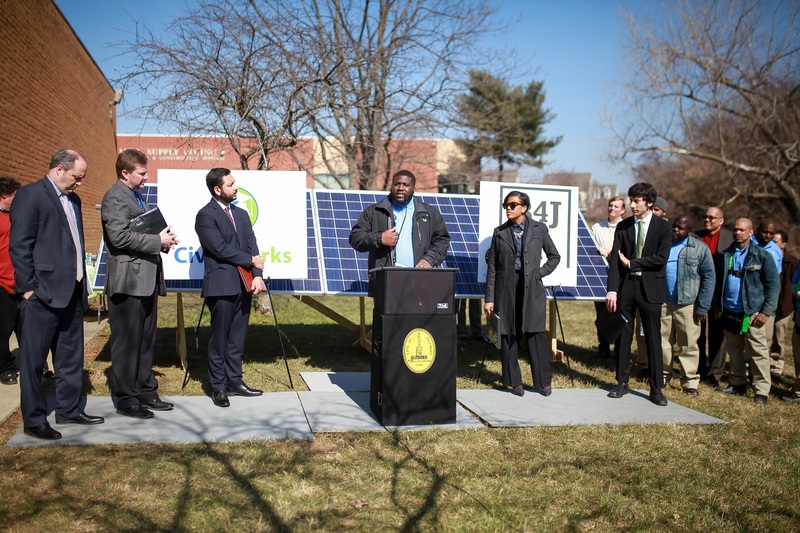 Civic Works’ Baltimore Center for Green Careers (BCGC) hosted a kickoff event on March 7th at its training facility, in celebration of a new solar training program serving un- and under-employed Baltimore City residents. 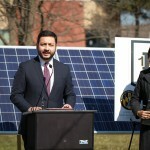 This three-month program, the first of its kind in Maryland, is one of twelve workforce development vendors sponsored by the One Baltimore for Jobs (1B4J) initiative. 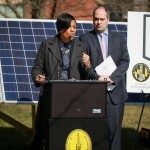 The program trains Baltimore City residents to install and maintain solar systems. 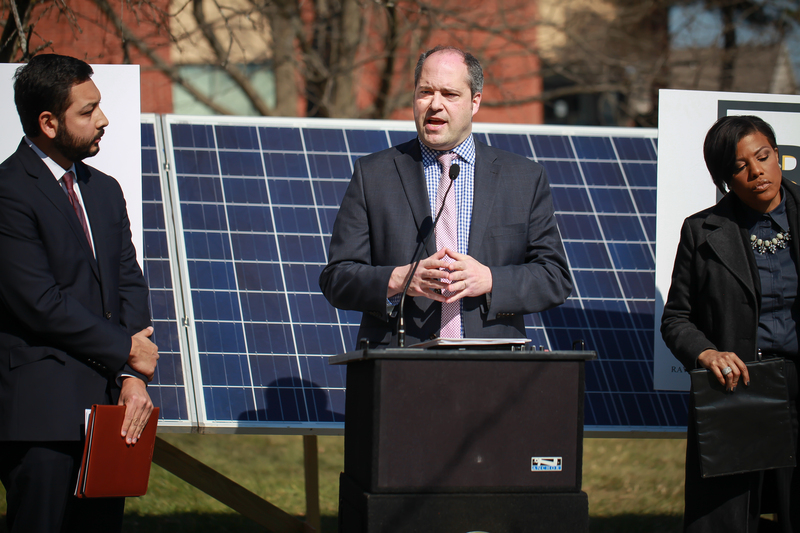 It includes comprehensive case management services, job readiness instruction, the NABCEP Entry Level certification, the OSHA Construction Safety certification, hands-on training in BCGC’s solar lab space, and 320 hours of on-the-job training (OJT). Over 70 guests attended the event. Guests heard from several distinguished speakers: Mayor Stephanie Rawlings-Blake; Jason Perkins-Cohen, Director of the Mayor’s Office of Employment Development; Eduardo Cisneros, Associate Director of Intergovernmental Affairs, U.S. DOL; and Jim Rzepkowski, MD DLLR Assistant Secretary. 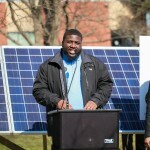 In addition, Michael Harris, a member of this inaugural Solar Training class, shared his experience with underemployment, and his perspective on the importance of Civic Works’ 1B4J Solar Training and the 1B4J initiative in creating pathways out of poverty for underemployed and unemployed Baltimore residents like himself. 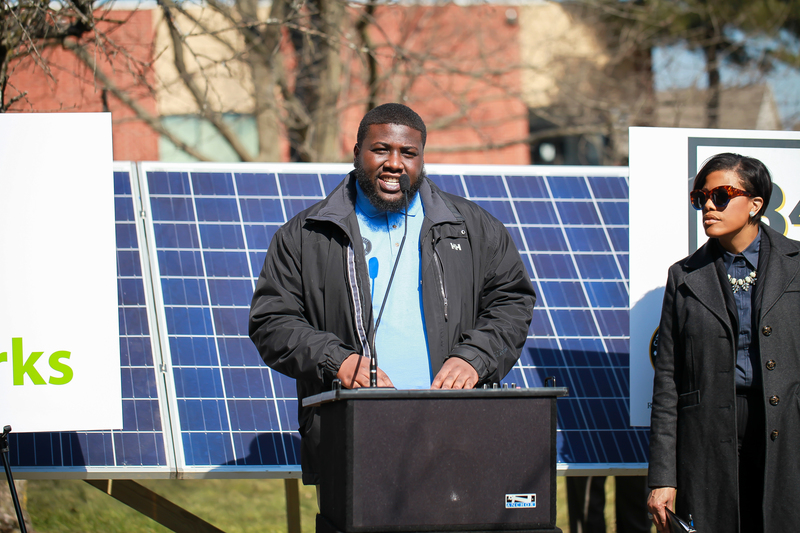 Instead of working in security and barely making ends meet, Michael is now on a pathway to earning family-sustaining wages as a Solar Installer, helping members of his community save money and energy. I worked in dead end jobs before this training program. 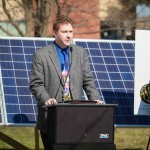 The Solar Training Program is making everything better for me and my family. I appreciate everything this program has given me. 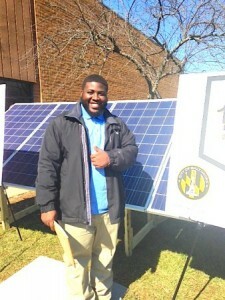 The solar job training is amazing, but I’ve really learned a lot in the personal development area, especially what’s expected in a professional way. 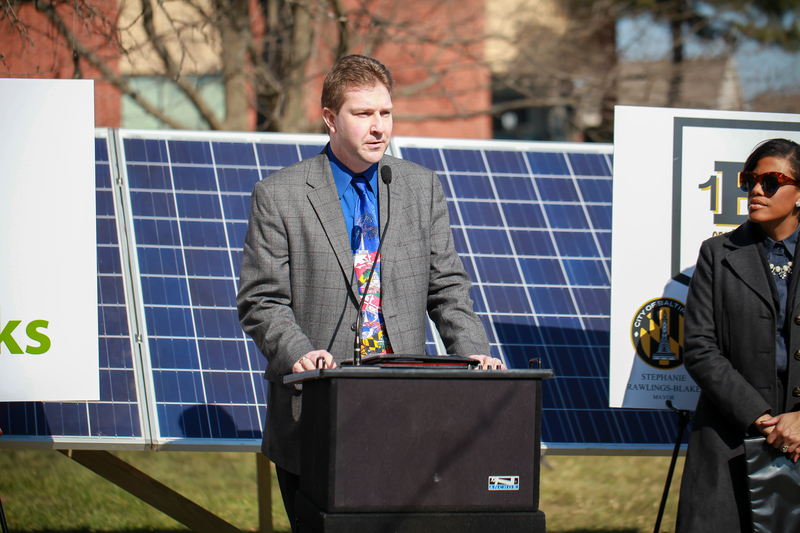 After hearing from the attending speakers, guests toured the solar training facilities and hands-on solar lab, and met with solar trainees to hear their stories. 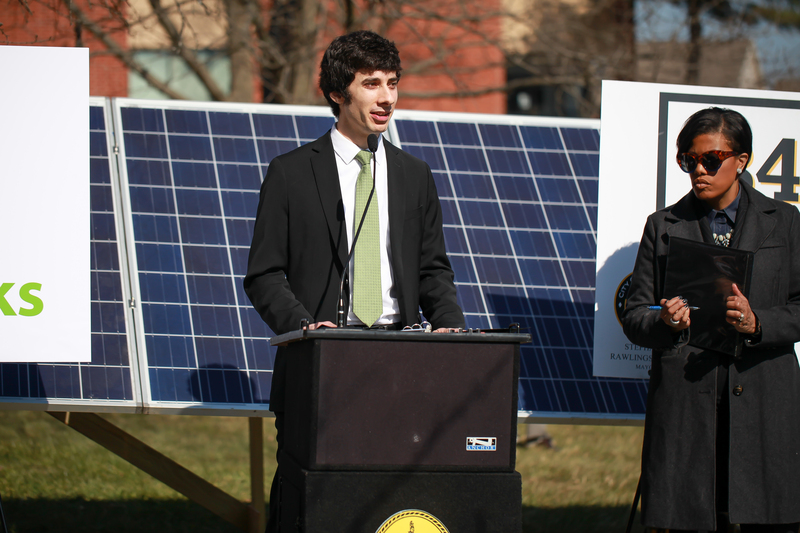 Civic Works’ Solar Training will prepare low- and no-skill workers to obtain mid-skill, family-sustaining careers in the solar industry, and will address Maryland’s shortage in trained solar workers. 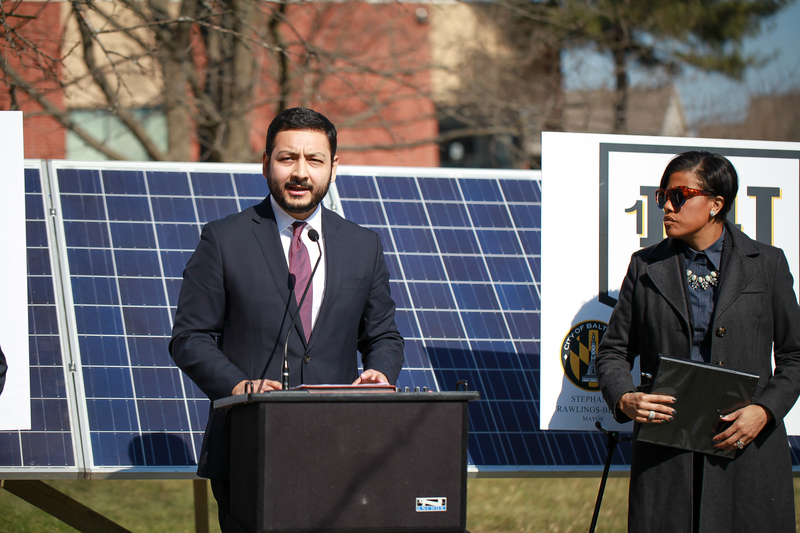 Maryland’s solar industry is expected to grow over 40 percent this year, yet 87% of Maryland solar companies report difficulty in finding skilled workers. We’ve been struggling to fill our ranks. This program is an opportunity to build the pipeline of skilled workers, and to also help knit the fabric of our city back together. 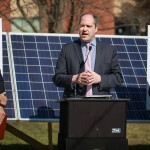 Watch our video about our new Solar Training! 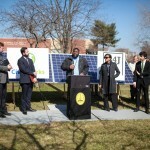 Under the One Baltimore for Jobs (1B4J) initiative, twelve workforce development vendors – including Civic Works’ Baltimore Center for Green Careers –have been selected to provide training and placement for careers in high-growth industries to disconnected workers in Baltimore’s most economically distressed neighborhoods. 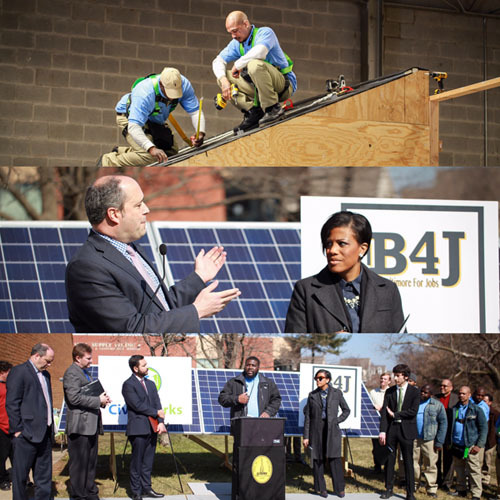 1B4J is made possible by a grant from the U.S. Department of Labor and is administered by the Baltimore City Mayor’s Office of Employment Development in partnership with Maryland Department of Labor, Licensing and Regulation. 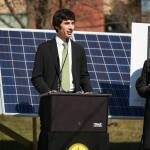 Click here for more information about applying to the Baltimore Center for Green Careers Solar Installation Training. 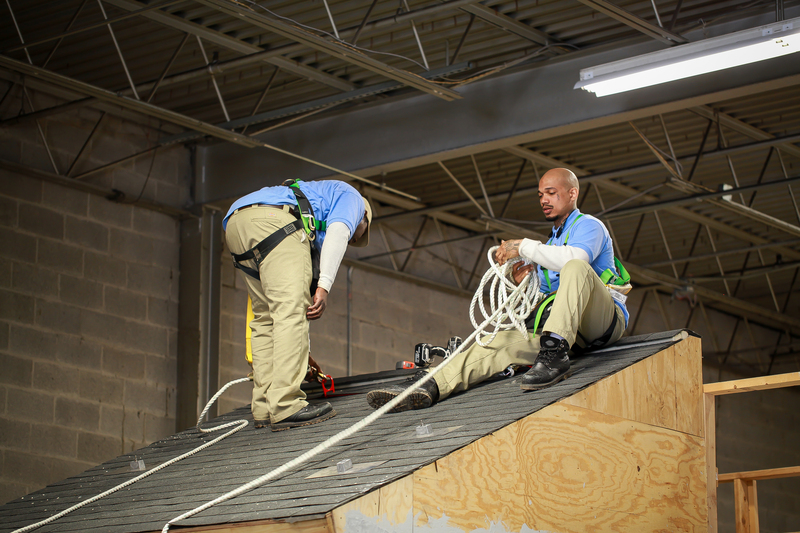 The mission of Civic Works’ Center for Sustainable Careers is to expand access to family-sustaining careers. 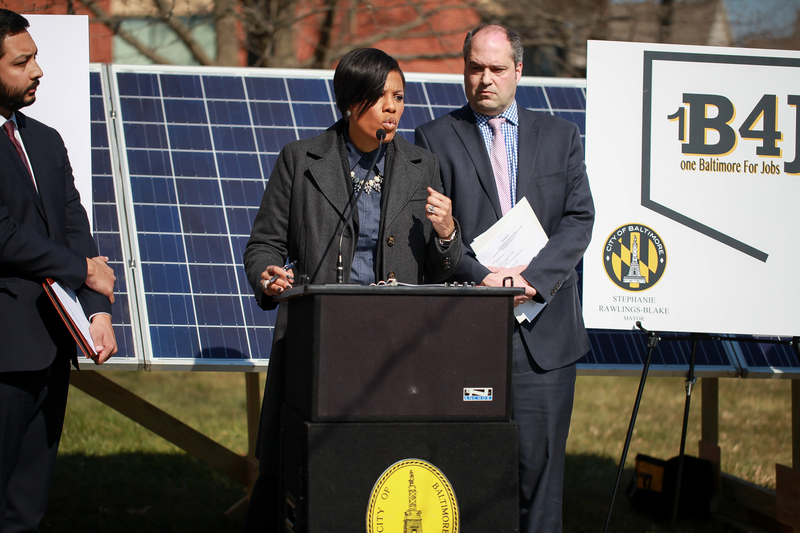 It supports Baltimore residents in building the skills needed to secure quality employment, and employers around investing in their workers and advancing equity across their practices. 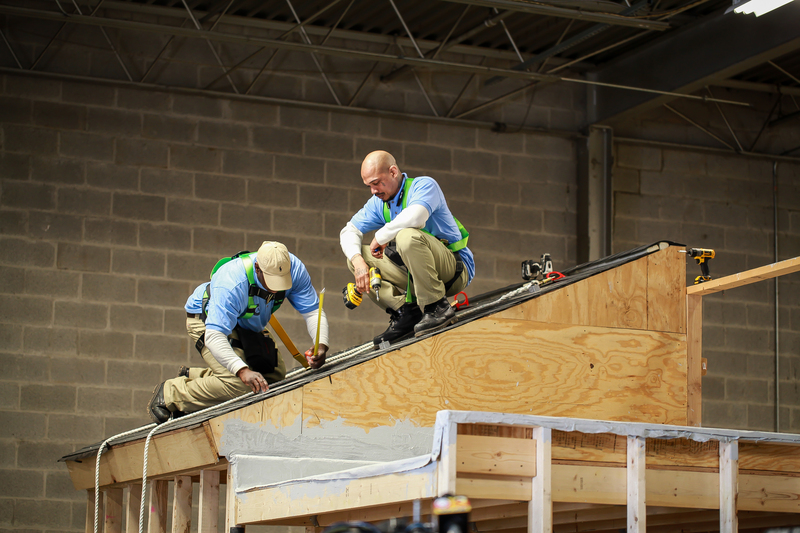 Since 2003, the combination of meaningful employment, a living wage, and marketable trade skills has proven powerfully successful.